After a long delay in her appointment, in large part due to a stubborn Republican-led Congress, it has perhaps been one of the most tumultuous first weeks on the job in recent history for a newly-appointed U.S. Attorney General. On Tuesday, Loretta Lynch travelled to Baltimore, the heart of ongoing racial and police-community tensions in the nation, as she focuses her efforts on her first and most pressing task yet as AG. Accompanied by other Justice Department officials — Vanita Gupta, head of the Civil Rights Division; Ronald Davis, Director the Office of Community Oriented Policing Services; and Grande Lum, Director of the Community Relations Service — Lynch will meet with Baltimore city and law enforcement officials, Congress members, as well as religious and community leaders, Politico reported. 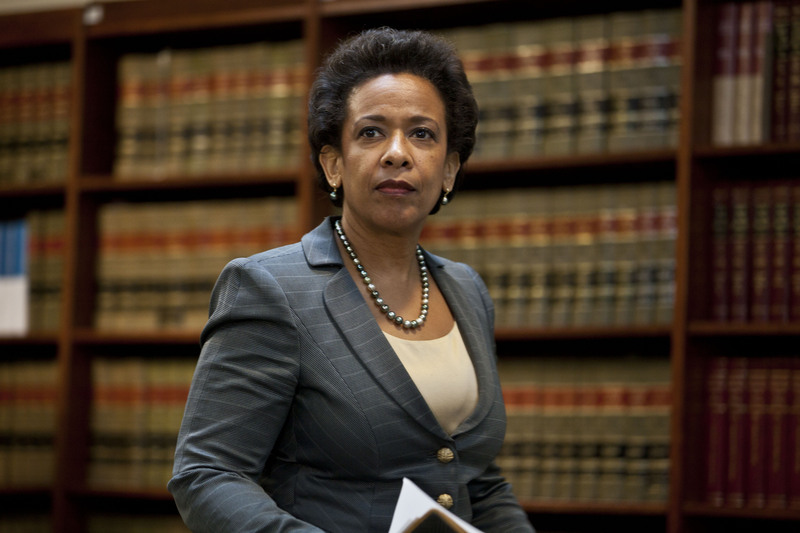 Lynch has had a tumultuous first week as Attorney General, dominated by Baltimore as the nation yet again confronts racial injustice in communities. Tensions, long simmering under the surface of a precarious calm, boiled over in the wake of Freddie Gray's mysterious death in April. Her visit comes days after Maryland state's attorney for Baltimore, Marilyn Mosby, charged six police officers for crimes including murder and manslaughter in Gray's arrest, fatal spinal injury, and subsequent death while under police custody. Her first day on the job saw her brief President Obama on the situation in Baltimore, and last week, she announced a $20 million pilot program to equip police officers across the nation with body cameras to help law enforcement agencies better its relationship with the communities it policed. In the wake of clashes over the past few months in various cities that took on a racial overtone, Obama has become more outspoken on race issues. On Monday in the Bronx, he launched a non-profit organization called "My Brother's Keeper Alliance" aimed at supporting young men of color from disadvantaged communities as they transition into adulthood. Last week, Obama said he likely would not visit Baltimore in the near future because he did not want to use up resources that could be put towards more crucial matters, such as keeping peace in the city. Like Lynch, Obama has been in direct contact with Maryland Gov. Larry Hogan and Baltimore Mayor Stephanie Rawlings-Blake, who had struggled to toe the fine line between appeasing an angry, long-oppressed community while keeping the beleaguered city calm. In an all-too-familiar scenario, Baltimore's demonstration against police brutality turned violent after days of peaceful protests, with scenes of rioting and looting, repeatedly shown on national media, calming down only after a city-wide curfew was imposed and the National Guard deployed. On Sunday, amid markedly more peaceful conditions, the curfew was lifted, and the National Guard announced that it will withdraw its troops within the next few days.